Do you want to go on a blind date with a book? 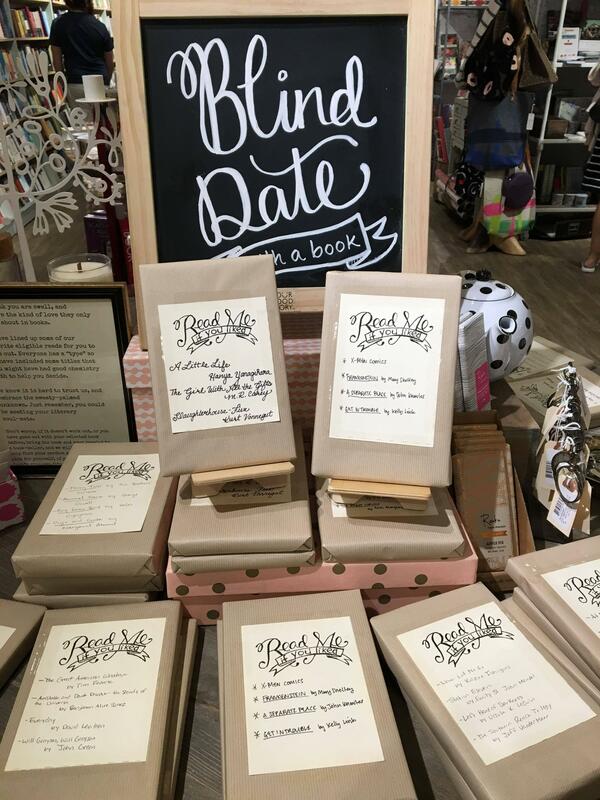 Bookstores all over the world want you to go on a blind date with a book. The thought behind this program is to make the book anonymous so you don’t know the title or authors name. It is normally sold at a discount so you will not pay the full amount. One bookstore in Homer, Alaska runs a blind date program and explained that these books are sent free to the bookstore as sample copies not for sale (not final prints), so they sell them for $3 each and give you tokens for each dollar spent, which you can then distribute into your choice of jars, each representing a different local charity. Book Culture in the Upper Westside in New York has a revolving display of books they selected and wrapped up surprise books based on other books you’ve read and liked. Kind of a Pandora for books. One interesting new initiative comes from a bookstore in Toronto that operates what they call the Biblio-Mat; it’s a vending machine that dispenses random old books for two dollars a pop. Obviously the recommendation bit isn’t a part of the experience, but it’s a fun, inexpensive sort of reader roulette. If there is not a bookstore close to where you live that does the whole blind date thing, there’s an online shop in the UK, but they might post worldwide, www.mysterydatewithabook.co.uk. If my library was doing it for free, yes, but I’m not going to pay for a random book. What if it’s a book I already read?